It is good that gathering like “Forum on Myanmar Democratic Transition” held from August 11 to 13, which was attended by government's several ministers and lawmakers, leaders of civil society groups, media practitioners, business leaders, veteran civil servants and a representative from the Tatmadaw or Military, together with a number of international participants, would be repeated again in the near future in other big cities, apart from holding it in Naypyitaw. One interesting point is that the Military is represented only by a single participant, Colonel Aung Myint Oo, Head of local and international relation department, National Defense College (NDC). Even more interesting is his position on the democratic norms of military-civilian government relationship. Colonel Aung Myint Oo told the “Forum on Myanmar Democratic Transition,” discussing under the heading of “Transition from Tatmadaw Administration to Civilian Administration”, on August 12, that the military has to be under the civilian government notion is a foreign, Western concept and not appropriate for the country like Burma or Myanmar, according to the BBC report. Earlier, on the first day, Colonel Aung Myint Oo said that removing the Tatmadaw from politics is impractical as it is necessary to strengthen the government in addressing security issues. He stressed that the Tatmadaw will have to be a part of the government organization should be utilized. “As long as there are issues that cannot be solved by the government alone, the Tatmadaw will be used by the government,” Colonel Aung Myint Oo said, according to the Myanmar Times. Reinforcing the irremovable stance of Tatmadaw from politics, Commander-in-Chief Min Aung Hlaing told the outgoing Ambassador of the European Union to Myanmar Roland Kobia, on August 17, that Myanmar’s transition to democracy would need to take more time, as the country has weaknesses in pulling through the democratization process and multiparty system, due to the inadequate past historical experiences. Min Aung Hlaing's position has always been firstly, the achievement of peace, which he equated with the absence of Ethnic Armed Organizations (EAOs) either through total annihilation or negotiated surrender, must be in place before the Military promoted notion of disciplined democracy could be satisfactorily installed. In other words, so long as there is ethnic armed resistance and the political system hasn't developed according to its liking, the Tatmadaw would be around to look over the whole situation according to the military-drafted, 2008 constitution. On August 14, a Tatmadaw representative Lieutenant Colonel Khin Maung Swe told the Parliament that it is the Military’s duty to enforce the “rule of law” in areas where the Kachin Independence Army (KIA) is active and to bring local people into the fold of security provided by the Military. Besides, he accused the KIA of illegal natural resources extraction to arm itself that contributed to the continued insurgency and refusal to sign the Nationwide Ceasefire Agreement (NCA) despite repeated negotiation meetings were actions tantamount to being anti-democracy. With the Tatmadaw's entrenched believe that it is its sole responsibility to lead the democratization process and has to be in the political arena for as long as it chooses to be around, let us look a bit further if it is really committed to the genuine democratization process and establishment of a federal union. An argument that the Military only reluctantly give in to the partial-reform process under its disciplined democracy is due to some factors as outlined by Sithu Aung Myint, a well known political commentator, is worth emphasizing. He recently wrote in the Voice of America (VOA) on August 14, under the title of “Is democratic transition on the right track?” that all knew even after the Election Commission (EC) had announced that the election would be held in November 2015, there had been the situation of testing the water by floating news like the election would be held as scheduled and at the same time, postponement of it to a later date was under consideration and so on. In addition, based on the military dictatorship past undertakings there were worries if election would really be held; if it is held would it be a free and fair election; and even if the election is won would the power transfer really take place. But to the astonishment of the Burmese people and the international community, the National League for Democracy (NLD) had won a landslide victory, summoned the parliament, formed new government and peaceful power transfer from the previous government to the elected NLD had occurred. There are at least four factors that has led to this successful outcome. The first point is the Peng Jaisheng headed Myanmar National Democratic Alliance Army's (MNDAA) attack on Kokang area in 2015 (February). Although the Tatmadaw could regain back most of the territories, it had suffered a heavy blow in terms of death and causality figures. This military condition has changed the opinion of the Tatmadaw leadership. For the military dictatorship that had endured the international sanctions, China was the main country that it had to rely on. If the military dictatorship was to again nullified the election result like in 1990 and conduct a military coup, it would again be abandoned and boycotted by the international community and would again had to find refuge in China's ambit. At that moment, due to the hard blow caused by the attack on Kokang it might had reasoned that it couldn't rely on China any more. Because of this it could be speculated that the Tatmadaw seemed to have followed the acknowledgment of the 2015 (November) election result rather than the way it did (nullifying the NLD's landslide election victory) in the aftermath of 1990 election. The second point is the cause of a big division between the Union State and Development Party (USDP) factions of the Speaker of the Parliament Shwe Mann and President Thein Sein, which are entirely made up of retired army generals. This has contributed to the lack of party's cohesion, stability and impacted on its poor election outcome. 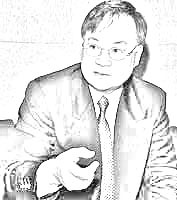 The third factor is the election was relatively free from irregularities and manipulation, as international observers were allowed in by the Thein Sein government and the division within the USDP made it hard for whom the EC led by Tin Aye, who is one of the USDP top members, should work for, in terms of conducting irregularities to win the election. The final point is that Aung San Suu Kyi-led NLD had applied the correct election strategy, coupled with its hard works to win the landslide victory. However, Sithu Aung Myint cautioned that even though the transition from the military bloc to the NLD has been carried out, the military dictatorship has not open up the democratization process willingly but only reluctantly, and that it would be too early to presume that the return to dictatorship wouldn't happen again. As could be seen, Colonel Aung Myint Oo made it clear that the Western notion of civilian leadership leading the military not acceptable and he also left no doubt in his statement that the NLD, civilian government needs the Military more than it needs the civilian government. The Commander-in-Chief expressed his belief that democratization process would take more time as the country is inexperienced, indicating that the Military will be in politics for as long as it sees it is needed. Lieutenant Colonel Khin Maung Swe also confirmed the Military position of justification in waging war on the KIA under the pretext of protecting national sovereignty and rule of law, accusing it as law-breakers and anti-democracy for refusing to sign the NCA and enter the government-led peace process. By heightening the war with offensives against the Ethnic Armed Organizations (EAOs), the Military is indicating that it doesn't want national reconciliation on equal terms but only surrender. Thus, the present Tatmadaw's half-hearted democratization commitment is based on the prevailing situation that has not gone along well accordingly to its political engineering scheme that is anchored in its self-drawn, 2008 constitution. To put if differently, it is finding hard to lose control of stage-managed outcomes, where it has full control on how configuration of the political arena should be managed. According to the constitution, it should be relatively easy to form the government for the military bloc – USDP and the Tatmadaw – if only USDP could win 26% of the vote in the national election. As all know, the Tatmadaw is allotted with 25% parliamentary seats, including the rights to administer the home, defense and border affairs ministries. Apart from that the USDP had also registered political parties under its tutelage, plus forging coalition partners with other political parties, in case they are needed to form a coalition government under the military bloc. But the NLD landslide win in the election wipe out all the safety precaution measures of the military bloc and its political engineering scheme. Still, the advantage of the Tatmadaw 25% seats allotment and the privilege to administer the three important ministries made the military bloc a forced-coalition partner of the NLD, whether the latter like it or not. Thus in reality, it has to be taken as the NLD-Military coalition government, without coalition agreement signed like those in the developed democratic countries. Because of this, the political situation now could be seen as a period, from the position of the Military, that it is implementing a “fail-safe” mechanism by the built-in virtue of the 2008 constitution. By the nature of the said constitution, it is a disciplined democracy from the Military's point of view. In other words, it is a unitary system of governance with the Tatmadaw taking the leading role, which inevitably means a semblance of multiparty system where it could call the shots for as long as it decides to sit at the helm of political decision-making apparatus. But as explained, this political engineering scheme went wrong when the USDP was only able to capture some 10% of the vote and its aimed coalition with its proxy parties and intended coalition partners also came to naught, as all of them were unable to win any seat in the election. Apart from not being enthusiastic or willing to reform according the democratic norms as accepted by the NLD and the ethnic nationalities, which must be coupled with an establishment of a federal system of government, the Military's brand of disciplined democracy is closely tied to its self-drawn, military supremacy constitution. One could even say that it is a hybrid civilian-military system that is in no way conducive to the democratization process of the country and in fact an anti-democracy stance that the Military is striving to continue for as long as it is needed, to secure its political edge. Thus it is not a wonder that the Commander-in-Chief and all its top brass always say that they would defend the constitution with everything necessary. And that is why it is spelling out its intention to stay and lead the political arena for as long as it considers to be necessary; blocks the all-inclusiveness participation mode, desired by the EAOs and NLD, in conducting the peace process; rejects all movements to amend the constitution and any attempt to put the Military under the civilian rule; and most importantly, keeping the war flames, that stem from ethnic armed conflict, on to project its importance and continue its manipulation of the ongoing peace negotiation process to its advantage. Given such circumstances, for now, it could be concluded that the Military isn't returning to the barracks anytime soon, much less giving in to the democratic notion “civilian control of the military”.